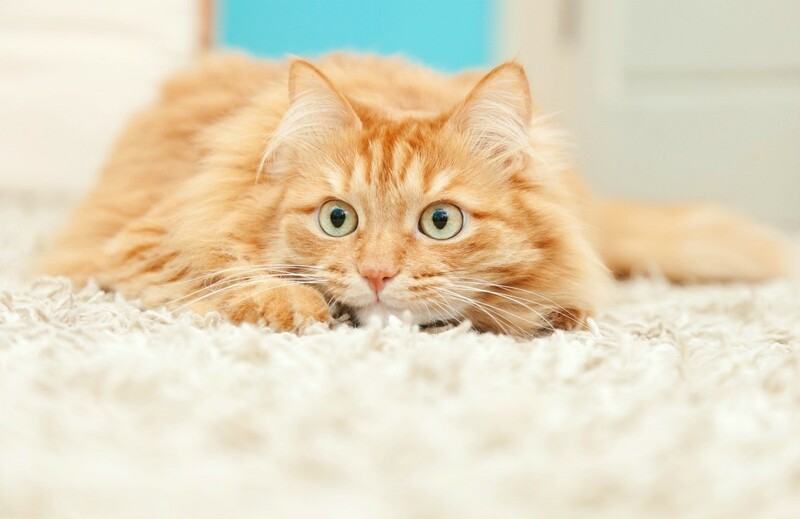 Just like their human companions, cats can exhibit anxiety over various changes in situation, including the death of a furry friend or a move. With the proper anti-anxiety medication, after all else fails, they will typically return to their normal kitty self. 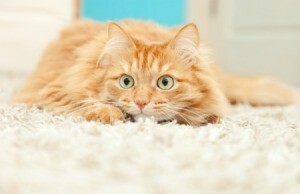 This is a guide about remedies for anxiety in cats. Over the past two years, I have had problems with two of my cats peeing on things after we moved to a new house. I took them to the doctor to make sure they didn't have bladder infections. This had happened before with my parents' cat, and that was the trouble. However, the vet determined that the cause was not physical, it was behavioral. These cats had always been high-strung. I changed the type of litter. I moved the litter boxes to very quiet locations. I added litter boxes to new locations. I bought a fortune in enzymatic cleaners to completely remove the scent of urine from anywhere they had messed. The vet prescribed them Valium. This helped a bit, but they still were urinating on things. I also didn't like that they seemed "foggy" on Valium. I was washing the bedding on my bed several times per week. They expressed their angry opinions on my couch, so I had to cover it in vinyl and put hospital pee pads all over it so they could be easily washed, and I could bleach the vinyl cover. One of the cats began to pee on the stove. Finally a lady from a local cat rescue advised me to ask my vet for a medication called Elavil. She calls them "happy blue pills"! What a change! This inexpensive anti-anxiety, anti-depressant is worth its weight in gold. My cats are more relaxed, and I haven't had a single mess in over a week. The happy blue pills don't make them foggy either. Pets are a lifetime commitment, and I love my (formerly) angry cats. We are all much happier now that they are on medication! Source: Whisker Rescue in Red Deer, Alberta. I hope you expect to try to taper off the pills in another few weeks. Cats in particular are extremely territorial. Many do not do well with moving at all. I've tried moving feral cat colonies altogether for their own safety and it does not work. Once they get more comfortable in your home please tryo tapering the pills. No meds are without side effects but Kudos on your efforts to keep them! I need advice. I have a cat that's been living with me since 2.5 years. I have to go on a trip for 2 weeks. And I am worried about it. My cat is an outdoor/indoor cat. Last time I had gone for a week for the first time leaving it behind with my other family members. Animals dont have the memory of humans. If your cat is well fed and cared for, it will do just fine. Cats can get down when their person is gone. I cat sit frequently and have seen my charges mope around until they get used to me. That others who are usually around are still going to be there should mitigate the situation as the cat won't be with strangers and will have familiar smells. You may want to leave a tee shirt that you have worn for the cat to cuddle with. My favorite kitty I have sat many times loved it when his human mom did that. Relax and enjoy your trip! You can always call and coo into his ear via phone! It sounds to me like your cat should do OK. In his normal surroundings with people he knows should take care of most of it. I have always felt cats do not have the same level of separation anxiety that dogs do. They handle our absences better. Maybe some special treats (my cats love the freeze dried salmon) to make sure he feels special. And dont laugh...I have talked to my cats on the phone and they got real excited. They talked back too. I hope you have a successful trip and return to find a happy well adjusted cat. Usually it is best if a "familiar" person can take care of a cat while the owner is away but some cats adjust to strangers after a short period of time. Lots of loving attention on your return should take care of any lingering fears.